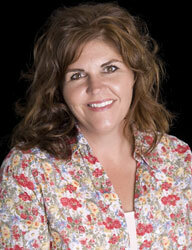 Lorena Eckert is the owner/founder of Silver Oak Country Estates Assisted Care Homes. She is a Registered Nurse with expertise in Assisted Care Facilities, Home Care Agencies and Acute Care Facilities. Since 1993, she’s practiced nursing at Scripps Memorial Hospital in La Jolla. Lorena is a long-time resident in Vista, active in a large Vista church and is the mother of two. When my parents need assisted living, they could move into Silver Oak Country Estates without changing any procedure, improving any standard, or replacing any staff. Silver Oak must be good enough for my loved ones—right from the start. It’s the quality of care I want when I reach that life stage. We provide personalized, professional care in luxury surroundings. We hire thoughtful, intelligent staff that listen well and speak well and we train them well.